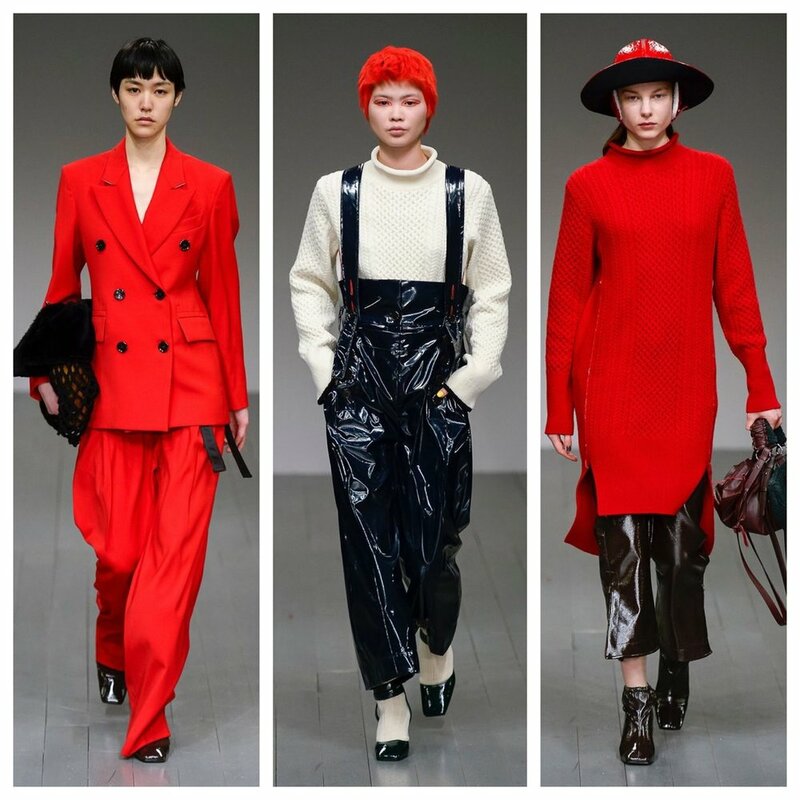 One of my favourite shows of the AW18 season came from Eudon Choi. One of those times when you sit in a show and feel shivers as you realise you are watching something magical. I am very outspoken about not seeing the value of catwalk shows for most emerging designers, but when you see shows like Eudon Choi’s, you realise there is still a place for catwalk shows when designers do it as brilliantly as Choi does. For his AW18 collection Choi found inspiration for his collection from the Cornish Harbour town of St Ives - calling the collection by the Cornish name of PORTH LA. St Ives became an International epicentre of modern art after a flock of young artists descended on the town. Choi translates the relationships between these young artists and their rugged environment to create a collection that plays homage to St Ives as a muse to so many artists and a place of artistic pilgrimage. As one beautiful look after another came down the catwalk, I coveted timeless trench coats, delicate blouses, feminine dresses, blazers and midi skirts. 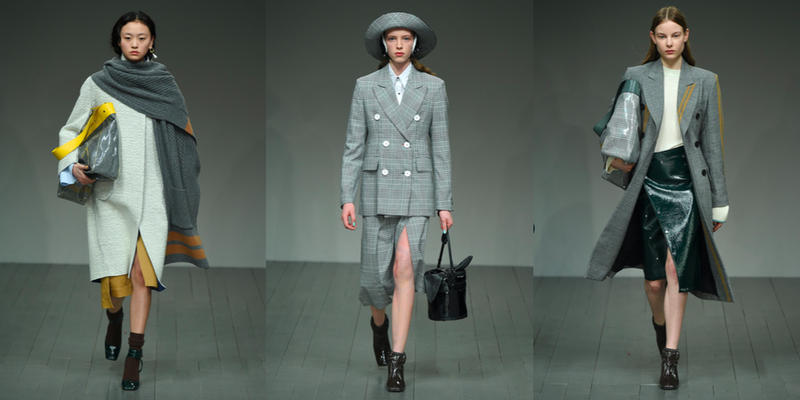 Identifiying with elements of Cornish life were the cable knit jumpers, oversized scarves, chunky socks and a modern take on a fisherman’s sou’wester through a collaboration with milliner Noel Stewart. Born in Korea, Eudon Choi initially trained as a menswear designer in Seoul before moving to London to attend the Royal College of Art's MA in womenswear. Taking inspiration from art, architecture and historical figures, EUDON CHOI effortlessly combines masculine tailoring with a feminine sensibility. Focusing particularly on menswear detailing, he extracts the essence and aesthetic beauty he uncovers and reworks it. Is it relevant for an emerging label to take part in fashion week?